Since sending the July 4th newsletter on winning freedom (actually sent June 17 by accident), I found another very relevant article. If you’re interested in American history and the American revolutionary war, this Smithsonian article on myths about the war is worth reading. It’s long, but fascinating—a different perspective on the war, and how easily the Americans might have lost it. You can skim it and just read the sections you’re especially interested in. I was interested to notice that the article uses 25 of the words on my Top 100 Academic Vocabulary Words page--12 of them more than once. A militia is a group of civilians who have trained to defend their home area if attacked. 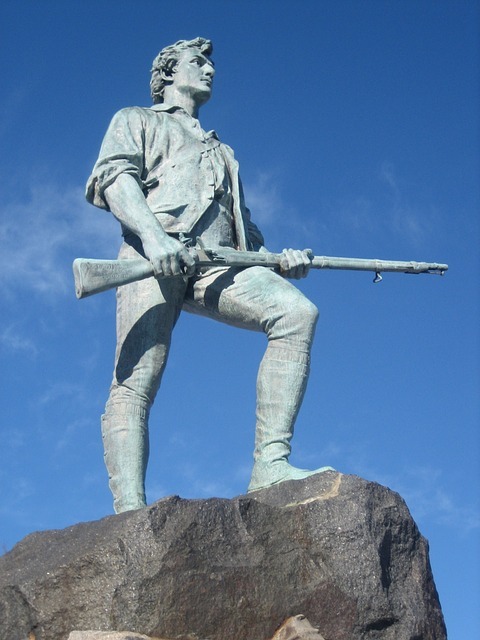 The American revolution was started by the local militias of Concord and Lexington (towns near Boston) defending their military supplies from British regulars (ordinary military troops) that had been sent to capture them. Militias fought in several areas before the Americans got an army organized, as well as areas where there were not enough American regular troops. A military campaign is a group of engagements (individual fights or battles) in a certain area, or with a particular purpose. The American revolution included a large number of geographical campaigns, from New England to South Carolina and Georgia, over several years. P.S. You may have noticed that newsletter 84 got sent a second time in late June, while I was away. We haven’t figured out HOW that happened, but I want to apologize. I haven’t seen that before, and hope to not see it happen again!